What are the main types of aluminum used in packaging? Packaging aluminum refers to the aluminum products used in the field of packaging. In the aluminum strip products of haomei Aluminum, the main used in the packaging is aluminum foil. Used in food packaging, pharmaceutical packaging in the field of aluminum foil, the industry is known as food aluminum foil and medicinal aluminum foil. Due to the characteristics of heat conduction, light weight, formability, protection, resource saving, recycling, sanitation and safety, aluminum is widely used in food and pharmaceutical packaging. So what are the models of aluminum foil packaging? Aluminum foil commonly used in packaging refers to the thickness of aluminum alloy products in the range of 0.2 or less. 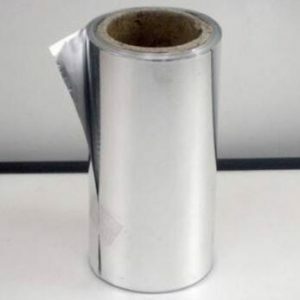 Aluminum foil can be divided into thick foil, single zero foil and double zero foil. Aluminum foil in packaging mainly includes 1000, 3000 and 8000 series of aluminum foil products, commonly used alloy grades are 1050, 1060, 3003, etc.. Alloy state is commonly used for H14, H16 and H18. With the development of China’s packaging industry, the development of packaging aluminum market has greatly boosted the consumption of aluminum foil industry. At present, China’s annual demand for aluminum foil has reached more than 300 thousand tons. China has developed into the United States and Japan, second only to the packaging of the big third. The next few years, the growth rate of aluminum packaging will be significantly higher than the growth rate of China’s air conditioning, cable and other uses.